About the author: Ana Paula G. Mumy, MS, CCC-SLP, is a trilingual speech-language pathologist who provides school-based and private services. 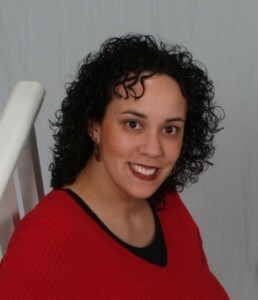 The author of various continuing education eCourses, leveled storybooks and instructional therapy materials for speech/language intervention, Ana Paula also offers free resources for SLPs, educators, and parents on her website The Speech Stop (thespeechstop.com). She is in the process of becoming a Board Certified Specialist in Fluency. As I reflect upon Camp Shout Out, the pervading image I see is an avalanche. A start zone, a trigger, a shift in the snowpack, a track. Fast acceleration, rapid growth, and the entraining of everything in its path. Do you see Camp Shout Out yet? The start zone – a rustic campground on beautiful Big Blue Lake. Trigger #1: A supportive community of people with shared experiences, shared challenges, shared tears, shared goals. Proactive as we practice and plan and set ourselves up for success and simple happiness. Major metamorphic changes in the snowpack continue. Trigger #3: New found understanding, peace, self-worth, courage, strength. Deep breath in…and there flows the snow, unable to resist the imposing force, except its track is the surface of precious lives – children, young adults, old folks – all moving through their own journey, yet now with rapid acceleration and growth because they’ve all learned a great deal. They carry with them invaluable lessons, lessons that will entrain all those who cross their paths – family members, friends, teachers, co-workers. You see, avalanche initiation starts with small amounts of movement, small variations in the surrounding conditions. However, under all of the right conditions, that small beginning evolves into a giant force. Camp Shout Out is an avalanche – an avalanche of empowerment and transformation, not of destruction. May its forward flow continue for years to come. May it grow exponentially and entrain multitudes because this force is truly life-changing! I love this piece of writing! It is expressive, descriptive, and wonderfully visual! I hope all read and experience it, even from their own perspective without living the unexplainable experience with his Camp Shout Out! Thank you for being an advocate for PWS and for yourself as deeply caring individual. The world is much better place with you in it! Thank you, Scott, for your kind words! And thank you for letting me know about this conference. I’ve already learned a lot and accessed great resources…and made some great connections with new people (particularly those working with bilinguals who stutter). I really enjoyed reading this piece. When I first saw it, I thought the avalanche would represent speech falling apart, or something related to destruction. But what you do is describe how the camp changes the person. I feel like people forget that after the avalanche has cleared, there is a new landscape, or in Camp Shout Out, a more empowered or transformed person. Thank you for sharing! I really appreciate the perspective you have taken in your paper. The concept of turning a negative into a positive stands out to me (comparing an avalanche to the growth/learning process). I was wondering how students react to this type of comparison? How did this analogy come to you? I have never seen an avalanche used as an analogy for something positive, so I was surprised when I began reading! Camp Shout Out sounds like a wonderful and supportive place for children who stutter to learn to love and accept themselves and others! Thank you Megan, Laura, and Lauren for reading! Since the three of you had similar observations, I’ll respond to all three in one reply. The power of these transformations in thought was so evident in how these children and young people left camp…more confident in themselves, more willing to take risks, better able to communicate their thoughts. What’s wonderful about the changes that took place in them is the changes that subsequently occur in others (family members, friends, teachers, etc.) – more understanding, more patience, more acceptance, more advocacy. So as I left camp, I just kept happily thinking of all of the people who would be affected (or “swept up”) by the transformations that took place that week…and I began to envision an avalanche, slowly starting yet growing and growing and positively entraining lots of people. And you’re absolutely right, Megan, there was a new landscape for many of those campers! Laura – you asked about others’ reactions to this analogy, and all of the feedback I have received has been very positive. Thank you again, ladies, for reading and commenting! WOW! What a powerful description of a life-changing program! Kudos to you Ana Paula and best wishes. I was wondering whether you have a good number of students at Camp Shout Out that are bilingual stutterers? And if you do have this sort of population how does their bilingualism/multiculturalism play into their understanding and acceptance of stuttering? There were not many bilingual PWS at camp. I personally worked with only one there, but the strategies/concepts/principles addressed throughout the week did not directly touch on bilingualism since they (the strategies/concepts/principles) are applicable to all PWS, whether monolingual or bilingual/multilingual. I’m curious what prompted your question? I just loved your description and I’m excited to learn more about this with you. It’s great to see your passion and commitment. What an inspiring camp that addresses so many important aspects of creating effective and empowering communicative relationships! I’m speech language pathologist student and wanted to know if at your camp and with your trilingual background if you address multicultural considerations and how so with your program? I’m very interested in such a holistic approach to treatment. Thank you for reading! Within the camp environment, we did not really address multicultural considerations directly, however, the many guiding principles and strategies that are addressed at camp are applicable to both monolingual and bilingual PWS. As far as my own experience with culturally and linguistically diverse (CLD) populations, the stuttering is often present in both languages but it can vary in terms of frequency and severity. One thing that I do not advocate is for parents to stop speaking one language because of the stuttering (or because of any other communication disorder for that matter – current research supports fostering the home language). A parent’s desire to foster bilingualism should not be hindered because of a child’s stutter. In other words, that child’s opportunity to become bilingual should not be taken away because of the stuttering. This is particularly important for parents who do not speak the majority language well. Many well-meaning professionals recommend that parents speak the majority language to their children (especially upon beginning school), but this is problematic in several ways. One, we may be asking parents to speak a language in which they are not comfortable or confident speaking to their children. Secondly, when parents interact in ways that feel “unnatural” to them, this creates a language barrier that may interrupt the bonding within that parent-child relationship. In addition, passing down a native (heritage) language often allows children to connect more fully with extended relatives and their culture. I could go on and on, however, if you are interested in reading more, I do have a few articles that address other multicultural/multilingual issues (available for free download on my website under the “Bilingualism” section). What a fantastic piece of writing! I have to say you are the first person I’ve ever known who has made an avalanche analogous to the unfolding of a camp. It was genius! This work really spoke to me because I have worked at a summer camp for the past 2 years and it is such a rewarding experience. In my mind camp = community and that was beautifully demonstrated in your paper. Camp Shout Out sounds like a wonderful and empowering place, that transforms and impacts lives just like an avalanche. It’s nice to know that places like these exist! Thanks so much for sharing! Thank you, Cait! I’m glad it resonated with you. As I saw the changes that took place in so many campers, I began to think of the changes that subsequently occur in others (family members, friends, teachers, etc.) – more understanding, more patience, more acceptance, more advocacy. So as I left camp, I just kept happily thinking of all of the people who would be affected (or “swept up”) by the transformations that took place that week…and I began to envision an avalanche, slowly starting yet growing and growing and positively entraining lots of people. I am wondering if you use this avalanche approach when you are working with kids who stutter in the schools? Or is this more for a camp-like situation? I am hoping to be a school-based SLP and have not had a lot of experience working with school-age children who stutter. In my current fluency class we have really been focusing on acceptance and positive self-esteem. Do you find that this is mostly what you are targeting for this age group as well? Thanks for reading! The avalanche analogy was really a response to the experience I had at camp and the changes I witnessed as a speech-language pathologist. I’ll repeat a previous response in case you missed it, but as I saw the changes that took place in so many campers, I began to think of the changes that subsequently occur in others (family members, friends, teachers, etc.) – more understanding, more patience, more acceptance, more advocacy. So as I left camp, I just kept happily thinking of all of the people who would be affected (or “swept up”) by the transformations that took place that week…and I began to envision an avalanche, slowly starting yet growing and growing and positively entraining lots of people. In other words, the “avalanche effect” I am describing is a result of the internal changes. To answer your question about addressing acceptance and positive self-esteem, that is certainly one aspect that we address in the school-age population (or any age really). For me, I would say that’s the starting point or the foundation we lay, and then we move to the “speech tools” that may be used to make talking easier. I recently published a video on my YouTube channel entitled “Talking Without Shame for Persons Who Stutter” in which I discuss this in more detail from a very personal perspective. It’s available here: https://youtu.be/Doz1cqjF3hM.